Our school improvement solutions are built around the ten strands of the SSAT Framework for Exceptional Education (FfEE) which is designed to support you with the process of self-review and strategic development planning. Take a look at our current school improvement solutions page. Register your interest to discuss your options for bespoke consultancy and CPD that puts your priorities first. All of our education experts and consultants are highly experienced as senior leaders or advisers with expertise in primary, secondary, post-16 and special education. Specialist areas include leadership and management, accountability, teaching and learning and curriculum. We can work with you to identify areas that require focus and prioritisation, building a bespoke consultancy package or intervention to match your specific needs. Whether you’re a classroom practitioner with leadership potential, a senior leader aspiring to headship, or a CEO who wants to develop their expertise, our leadership expertise will help you expand your career opportunities and provide you with the skills and mindsets to lead your school to excellence. Our approach to teaching and learning improvement encourages collaboration and shaping language, practices and habits across your school to help secure the best outcomes for children. Our accountability and data knowledge will help you to ensure that you’re always aware of your key requirements and measures, and always prepared for inspection. And in a system where principled curriculum design is more important than ever, our curriculum consultancy will help your teachers and leaders design and deliver a curriculum that is personalised for each and every child. Read our School improvement stories series of blog posts. 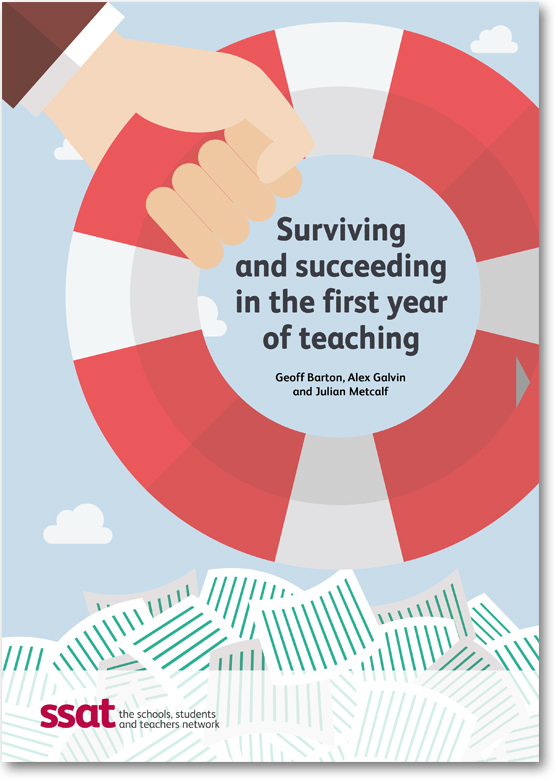 Your first headship being the fourth appointee as principal in three years is quite a challenge, as Katie Scott explains. Mark Barrett, Deputy Headteacher, Kingsmeadow School, describes the work of their rolling consistency working parties. … with outstanding leadership, said Ofsted. Stuart Smith, principal of Hastings Academy, an 11-16 school in the University of Brighton Academies Trust, gives some highlights of their successful approach to school improvement. ‘No badge yet’, but Simon Wade, principal, Beckfoot Upper Heaton School, delves into the staff and student contributions that give great cause for confidence in the school’s future. How a West Midlands school progressed from special measures to ‘good’ in under two years – starting with a focus on teaching and learning, and behaviour. How a West Midlands school progressed from special measures to ‘good’ in under two years. 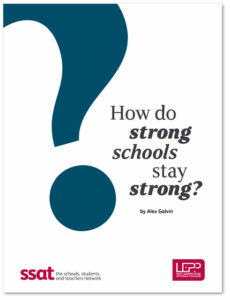 In part two, we look at how in the process it defined a much broader vision of what a good school can be. Develop skills and proficiency and empower the teachers and leaders in your school with SSAT’s one-to-one coaching service. Coaching will give you an additional new approach to driving improvement, securing the best possible outcomes for your students. Whatever your context or phase of education, we will work with you to establish your specific requirements and scope. Delivered in-school with you or your selected members of staff, your SSAT Coach will provide a series of flexible one-to-one sessions designed to focus solely on your priorities and unlock you and your staff’s potential. We can help you to prioritise, plan and deliver inset days for maximum impact and value. Choose from our range of CPD options and areas of expertise, including our ready-to-deliver in-school training options below. Register your interest below and we’ll contact you about your preferred method of in-school training. The SSAT Teaching and Learning Improvement programme will help you and your staff build the foundations for improvement and provide the inspiration required to achieve your goals. Timed flexibly to suit your school’s needs but ideally phased over the course of approximately one term, we will work with you through this intensive programme to identify your strengths and priorities to help raise the standard of teaching and learning across your school. Get the most out of your PD days and twilight sessions with our flexible training modules. With modules covering teaching and learning, leadership and curriculum, you can ensure your training is not only of the highest quality and backed up by rigorous research, but is also built by you in line with your needs. Tackle recruitment and retention issues in your school and develop your NQTs and teachers of other subjects into highly skilled non-specialist maths, science and English teachers. This in-school training will focus on your teachers’ subject and pedagogy knowledge to enable them to teach with confidence, produce inspiring and engaging learning activities and make accurate assessments of student progress. Enhance the expertise of your governors and help to increase understanding of their specific responsibilities. This training is delivered in your school to match your unique priorities, and will help your governors to stay up to date with the key educational issues on the horizon, further understand school performance tracking and ensure you’re always Ofsted-ready. 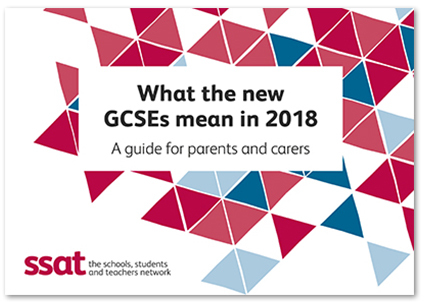 SSAT offer a wide range of publications and resources to support you and your school, whether it be subject-specific support, guidance for Ofsted inspections or tools for INSET and PD days.